Again, it took Dortmund until the second half to show. And you can hardly blame them. For just eight days on from the bomb attack on their team coach, French police kept the squad waiting for 22 minutes before the game in the one place they did not want to be – the team coach. 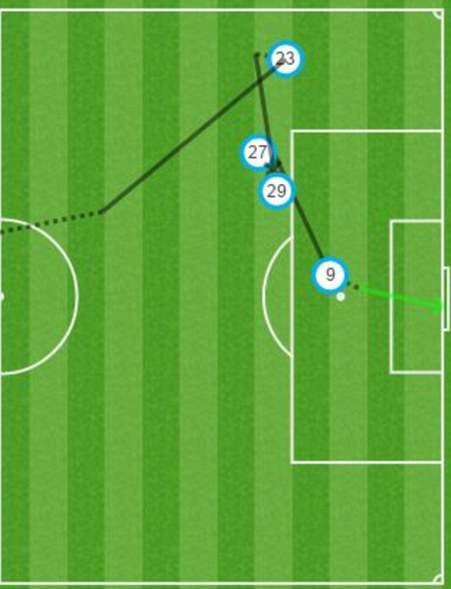 Club officials said the delay outside of their hotel was ‘without justification’ and, while kick-off was put back five minutes, it took another 45 for the Germans to emerge from their daze. By then, of course, it was too late. 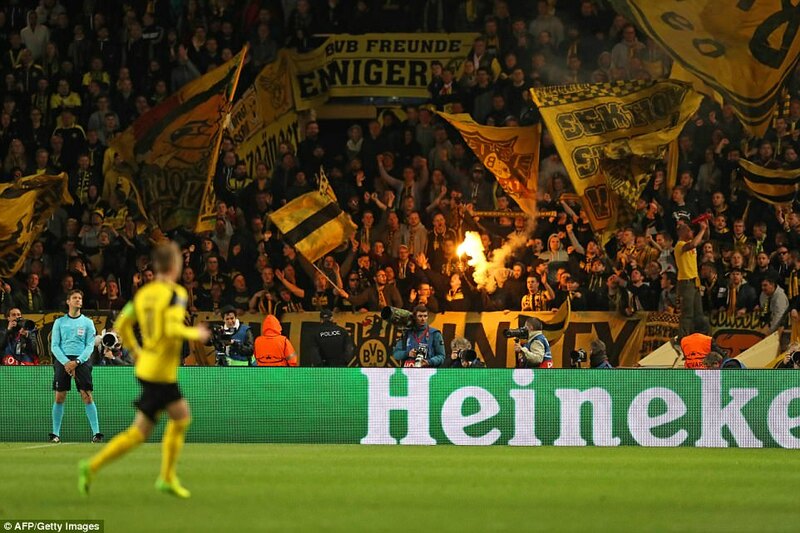 They were trailing 2-0 at the break – just as they were in last Wednesday’s hastily rescheduled first leg – and the tie was gone by the time captain Marco Reus halved the deficit on the night after 48 minutes. 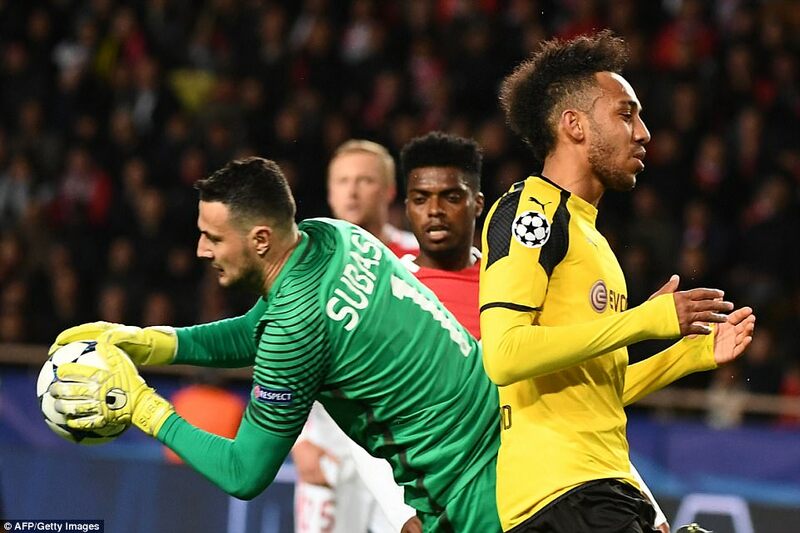 Dortmund boss Thomas Tuchel said: ‘We didn’t know what was going on (before the game). It prevented us from thinking about football when we were well prepared for the match. Many Dortmund supporters spent the afternoon drinking beer on the Promenade des Anglais in neighbouring Nice, the same seafront stretch where 86 people were killed in a terrorist attack last July. That, though, must have served as a sobering reminder of just how lucky their heroes had been last week when three devices exploded next to their bus. Defender Marc Bartra was the only player injured and, after surgery on a broken wrist, he was here to support his team-mates. 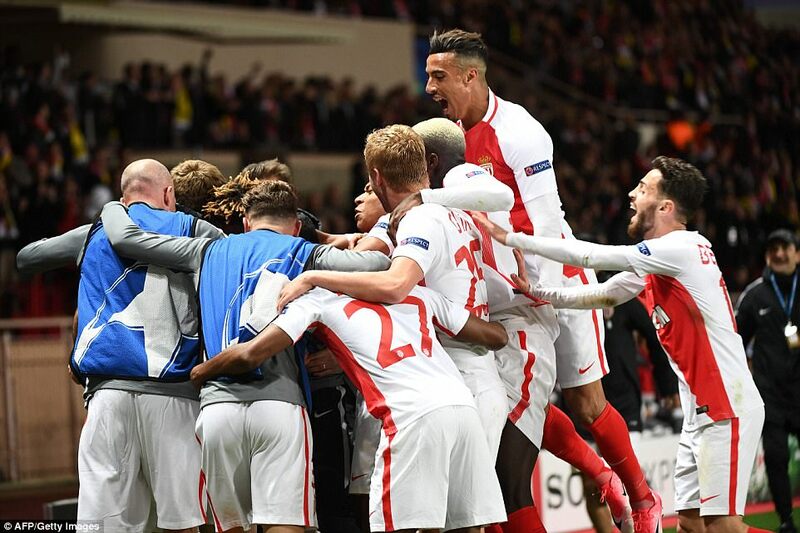 It is perhaps unfair on this exciting, young Monaco side that events off the pitch have distracted from their brilliance on it, but this has not been a fair contest. 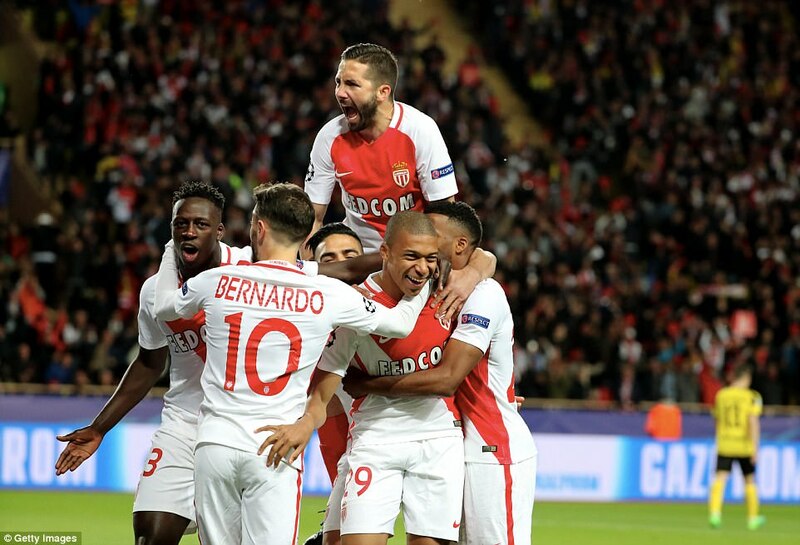 The Ligue 1 leaders held a 3-2 advantage going into the home leg and it took less than three minutes for 18-year-old Kylian Mbappe – on target twice in Dortmund – to become the youngest-ever player to score in both legs of a Champions League quarter-final, turning in the rebound after goalkeeper Roman Burki flapped at Benjamin Mendy’s blast. 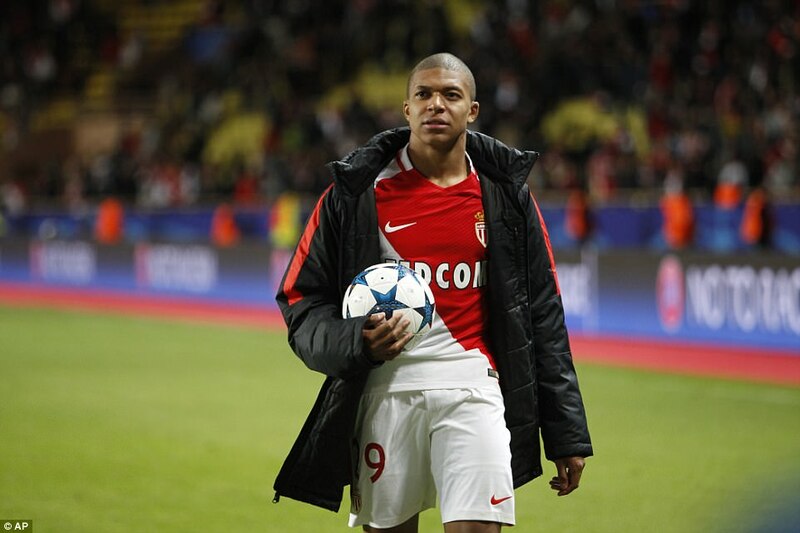 That is 14 goals in as many matches for Mbappe. 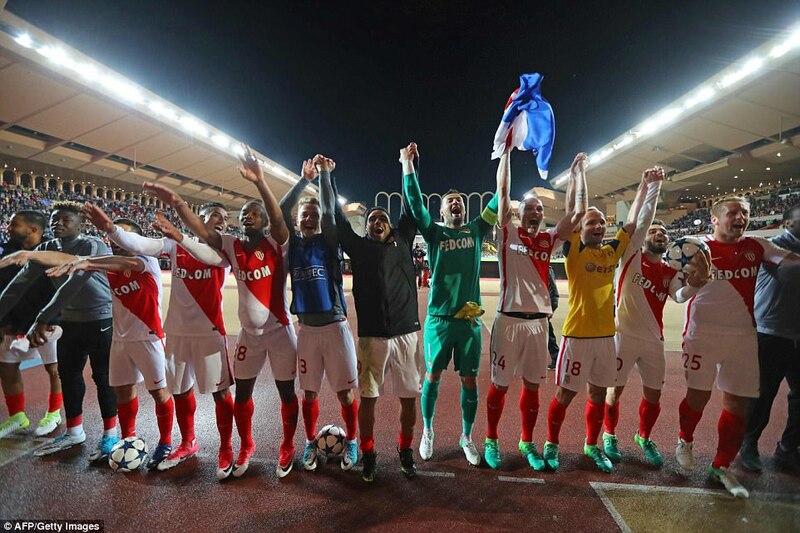 But Monaco’s second on 17 minutes was a demonstration of why they have every chance of lifting the trophy in Cardiff come June. 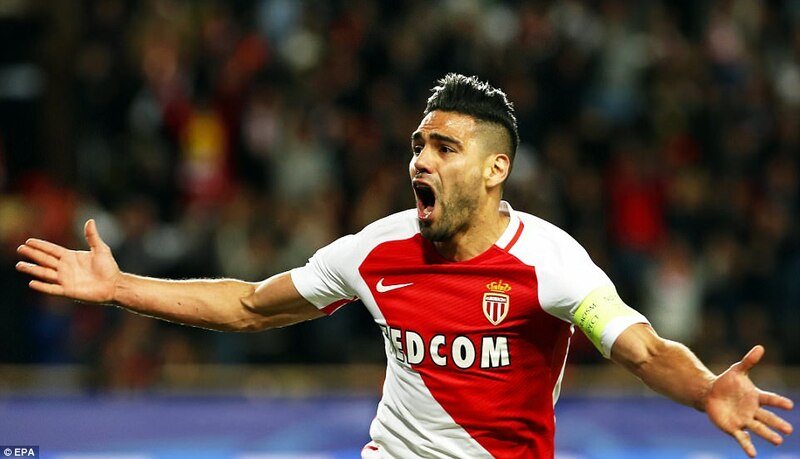 It took just nine seconds of a devastating counter-attack for three of Europe’s brightest talents to lay on the goal for Radamel Falcao, the reborn veteran with his 24th of the season. Thomas Lemar burst over halfway and found left-back Mendy. 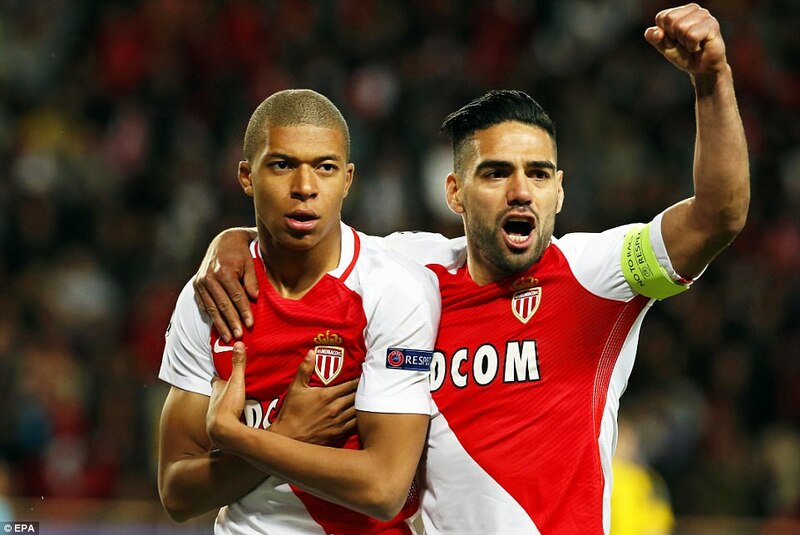 He fizzed a pass into Mbappe and his lay-off was collected by Lemar, who swept onto the forehead of Falcao to glance home from 10 yards. 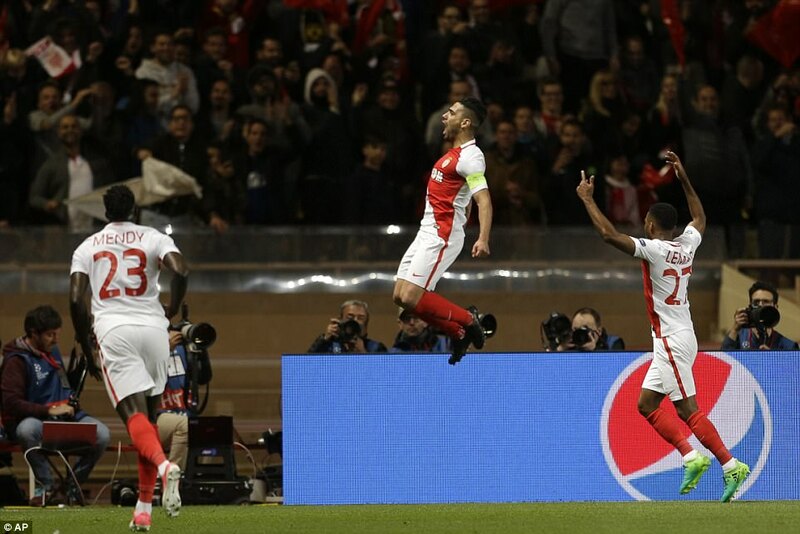 Lemar, 21, and Mendy, 22, were the subject of interest from Chelsea scouts in the stands here at Stade Louis II, but they would have added striker Mbappe to their watchlist before he made way on 80 minutes, with replacement Valere Germain making it 3-1 just seconds later, guiding through the legs of Burki from a Lemar cross. And it was Lemar who had been the star of the show. It is a shame for the France winger that attention was again diverted, but he and his fearless comrades now have a semi-final to make headlines of their own.